Garden Therapy: Can Gardening Help To Heal The Mind? Gardening may help individuals heal according to studies,The results of early studies suggest they have a positive impact on people that suffers from mental illness and anxiety.The visual aesthetics of plants are known to elicit feelings of inner peace, which generates positive emotions toward a meaningful appreciation of life. According to the study,Direct contact with plants may guide an individual’s focus away from stress enhancing their overall quality of life and makes them feel renewed. So this summer make sure to Surround yourself with colorful blooms, and watch as the butterflies and bumble bees hover around to collect their food. Relax under a shady retreat or backyard patio, and listen to the bubbling noises of a nearby garden fountain for the ultimate in relaxation and mind healing. Here are three lovely flowers to plant in your garden this summer. 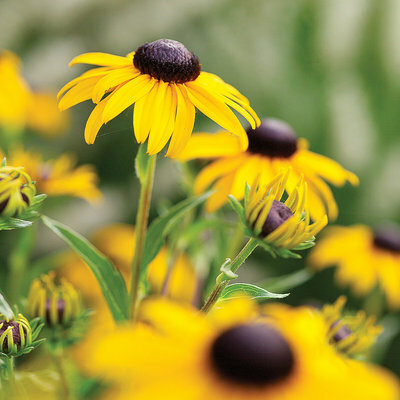 Gloriosa Daisy which is commonly known as Black Eyed Susan. It grows up to 3.5 ft tall and can also live over cool weather,their Deep golden petals radiate from chocolate centers on 2- to 4-inch-wide flowers. 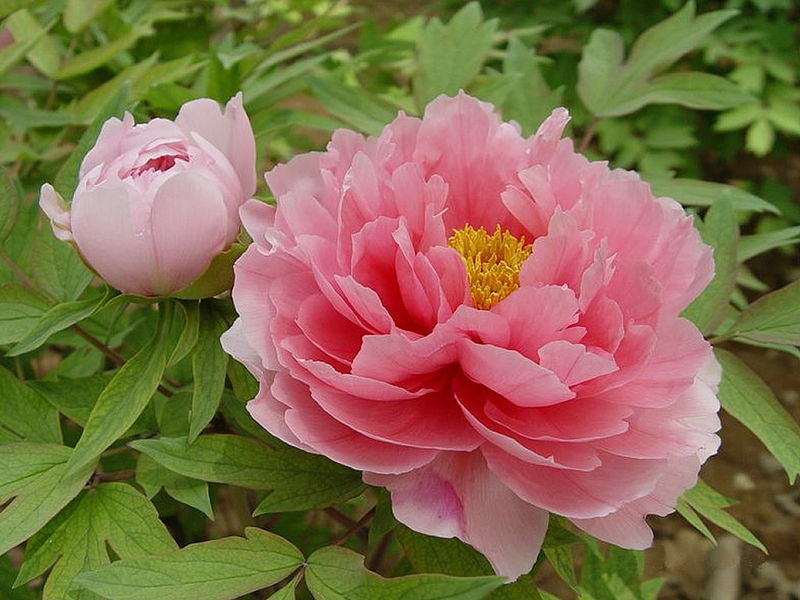 Paeonia suffruticosa,This flower can live 100 years without proper care because it can survive in a cool weather. The common name used in China is 牡丹 (mu dan). Plants belonging to this group have been cultivated for millennia in China, initially only as a source of traditional Chinese medicine particularly the skin of its roots is used as 牡丹皮 (mu dan pi). 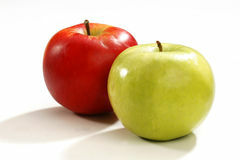 Already early on the plant was also cultivated for its ornamental value, and it is highly revered in Chinese culture. 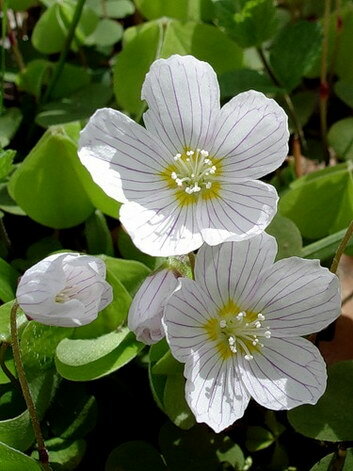 Oxalis along with its other variants of colors can be used for outdoor or indoor planting. It can grow under from 6 inches depending on its kind. The leaves are shaped somewhat like clover leaves. Both the leaves and flowers close up at night the leaves taste sour because they an oxalis has clover-shaped leaves and colorful blossoms. This entry was posted in LifeStyle+Health and tagged Can Gardening Help To Heal The Mind?, Garden Therapy Notes, Gardening, Horticultural Therapy, Horticultural therapy: 'Gardening makes us feel renewed ., Therapeutic garden. Bookmark the permalink. ← If you are ALWAYS looking for new books to read and is planning to spend your summer reading here are three good books to start with. My father’s favorite flowers were pink hibiscus,and my mom was red hibiscus. Flowers are beautiful,one of God’s best creation,so ofcourse it will be able to help cure mental illness. Yes it can! true story, my brother in law who is Jamaican was an EVIL when I say Evil I meant it! he beat women and children all the time,very very EVIL man and ex convict, after he got caught up in the wrong crowd again, my aunt y invited him over for counseling,he went to see my aunt and he started helping her out with planting flowers,we were shocked at how change this once aggressive man has become,when he got into horticulture. I believe that it can definately help with mental illness,my uncle has been struggling with depression for years and when he tend to the garden he is a different person. The pink flower in the middle so calming, looking at it gives a relaxing feeling already.